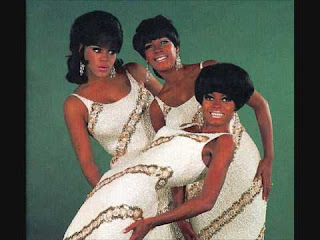 One of The Supremes biggest hits, My World Is Empty Without You has become one of the songs for which they are best remembered. This was a real tour de force for the group. Another Holland-Dozier-Holland composition, the harmonies are just to die for. This is a prime example of the sound that put the group over the top. On the original recorded version, Diana Ross almost carries the whole song. Mary Wilson and Florence Ballard’s backing vocals were very soft on the single. It was only during the group’s live performances that they amped up the volume and gave this song their – and its – all. This clip from an unnamed show really gives The Supremes’ fans a look and a listen at how they sounded live. A lot of the fans today are not old enough to have seen them in concert. Videos like this one are a delight because Diana, Mary, and Florence together made an unbeatable team. They were Supreme. 1492 - The leader of the last Arab stronghold in Spain surrendered to Spanish forces loyal to King Ferdinand II and Queen Isabella I. 1788 - Georgia became the 4th state to ratify the U.S. Constitution. 1842 - In Fairmount, PA, the first wire suspension bridge was opened to traffic. 1859 - Erastus Beadle published "The Dime Book of Practical Etiquette." 1879 - Thomas Edison began construction on his first generator. 1890 - Alice Sanger became the first female White House staffer. 1893 - The first commemorative postage stamps were issued. 1900 - U.S. Secretary of State John Hay announced the Open Door Policy to prompt trade with China. 1900 - The Chicago Canal opened. 1910 - The first junior high school in the United States opened. McKinley School in Berkeley, CA, housed seventh and eighth grade students. In a separate building students were housed who attended grades 9-12. 1917 - Royal Bank of Canada took over the Quebec Bank. 1921 - The first religious broadcast on radio was heard on KDKA Radio in Pittsburgh, PA, as Dr. E.J. Van Etten of Calvary Episcopal Church preached. 1921 - DeYoung Museum in Golden Gate Park opened. 1929 - The United States and Canada reached an agreement on joint action to preserve Niagara Falls. 1935 - Bruno Richard Hauptmann went on trial for the kidnap-murder of Charles Lindberghs baby. Hauptmann was found guilt and executed. 1942 - The Philippine capital of Manila was captured by Japanese forces during World War II. 1953 - "The Life of Riley" debuted on NBC-TV. 1955 - Panamanian President Jose Antonio Remon was assassinated. 1957 - The San Francisco and Los Angeles stock exchanges merged. 1959 - CBS Radio ended four soap operas. "Our Gal Sunday", "This is Nora Drake", "Backstage Wife" and "Road of Life" all aired for the last time. 1960 - U.S. Sen. John F. Kennedy of Massachusetts announced his candidacy for the Democratic presidential nomination. 1965 - "Broadway" Joe Namath signed the richest rookie contract ($400,000) in the history of pro football. 1968 - Dr. Christian Barnard performed the first successful heart transplant. 1968 - Fidel Castro announced petroleum and sugar rationing in Cuba. 1971 - In the U.S., a federally imposed ban on television cigarette advertisements went into effect. 1974 - U.S. President Richard M. Nixon signed a bill requiring all states to lower the maximum speed limit to 55 MPH. The law was intended to conserve gasoline supplies during an embargo imposed by Arab oil-producing countries. Federal speed limits were abolished in 1995. 1983 - The final edition of Garry Trudeau’s comic strip, "Doonesbury", appeared in 726 newspapers. "Doonesbury" began running again in September 1984. 1983 - The musical "Annie" closed on Broadway at the Uris Theatre after 2,377 performances. 1985 - The Rebels of UNLV beat Utah State in three overtime periods. The final score of 142-140 set a new NCAA record for total points in a basketball game (282). The game took over three hours to play. 1991 - Sharon Pratt Dixon was sworn in as mayor of Washington, DC. She was the first black woman to head a city of that size and prominence. 1996 - AT&T announced that it would eliminate 40,000 jobs over three years. 1998 - Russia began circulating new rubles in effort to keep inflation in check and promote confidence. The life of Florence Ballard has been described as tragic. She was one of The Supremes, the most successful American vocal group of the rock era, and at the height of her career she was what would have been considered wealthy by the standards of the day. Yet she couldn’t hold on to what she had. Bitter demons, both from without and within her control, led her down a path that was self destructive and ultimately mortal. Since Flo’s death in 1976, at the young age of 32, her life has been chronicled by various writers. Even Diana Ross and Mary Wilson have written about Flo and what they witnessed of the downward spiral that she suffered. 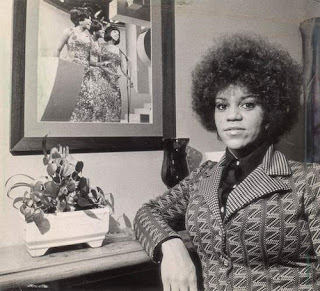 After having been one of the best known entertainers in the world, Florence died broke in Detroit. She left behind three daughters. Her girls have not known a life that different from their mother’s. A few years ago, around the time Jennifer Hudson won an Oscar for playing a Florence-inspired character in the hit film Dreamgirls, Florence’s daughters gave an interview to Entertainment Tonight where they discussed their lives and the legacy their mom left them. Everyone loves a happy ending and in the case of Florence and her children maybe one day there will be one.